HP has introduced three new Android based tablets for the Chinese market, the Compaq7, Compaq 8 and compaq7J. 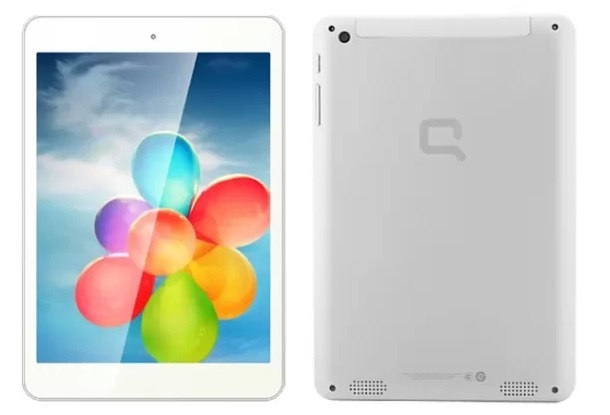 All the above three tablets features a 1GHz Allwinner A31s quad core processor paired with 1GB of RAM and runs on Android 4.2 jelly Bean OS. The Compaq7 has 7inch TN display with 1024×768 pixels resolution whereas the 7J has IPS display with same screen size and resolution. Both 7 and 7J comes with 1GB of RAM, 16GB on board storage and 1GHz quad core cpu. Both the tablets packs with 2-MP shooter and a VGA front webcam. The Compaq7j houses 30000mAh battery and is priced at ¥ 1,399 / $229 and price of the 7 is not known yet. The Compaq8 comes with 7.85-inch IPS display with 1024 x768p resolution, 1GB of RAm and 16GB internal storage. It also has 2MP rear camera and a 0.3MP front camera. It houses 3800mAh battery and is priced at ¥ 1,199.00 ($196).